"WE WERE EVALUATING THE USE OF A AIR MOBILE (BY HELICOPTER) HERC SYSTEM IN A SURFACE TO SURFACE MODE, AFTER MOST STATESIDE HERC SYSTEMS HAD BEEN PHASED OUT OF THE AIR DEFENSE SYSTEM. 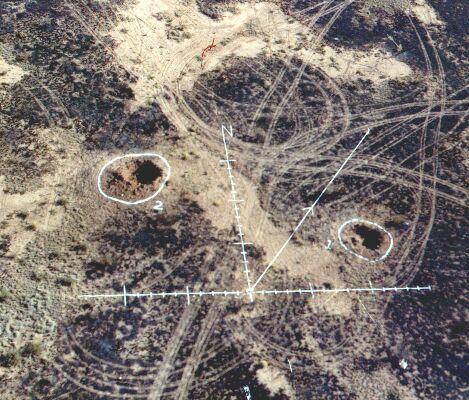 MY JOB WAS TO HELP WITH THE FIGURING OF TARGET DATA AND SETTING TARGET MARKINGS AND PANELS AT THE IMPACT SITE - THEN MEASURING THE MISS DISTANCE FROM THE SURVEY POINT. 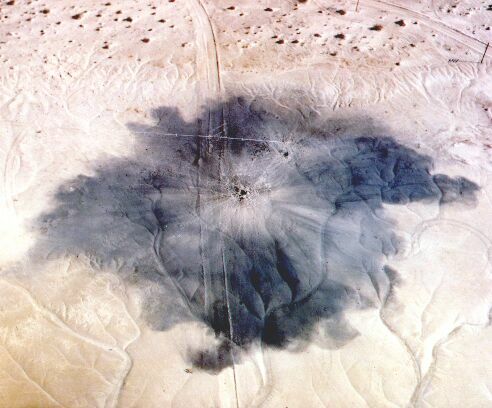 IT WAS A VERY INTERESTING ASSIGNMENT AND PRODUCED SOME SURPRISING RESULTS, BUT THEN WAS FINALLY CANCELED DUE TO NEWER WEAPONS SYSTEMS I SUPPOSE"
This is an impact crater from a Hercules without a warhead. Ground burst from a Hercules, range 30 miles. Picture shows the actual impact point compared to the surveyed target point. 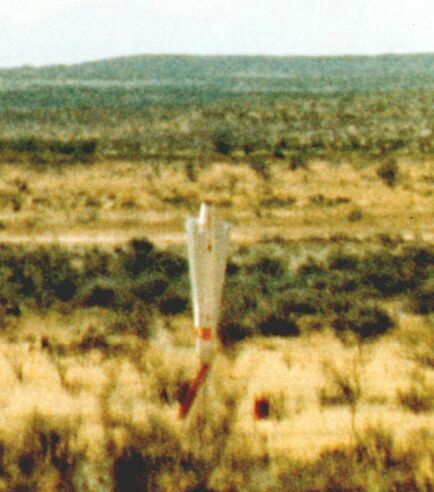 Another view of the actual impact point compared to the surveyed target point. This photo also shows the target panels. Picture shows an incoming Hercules and the survey point.